We will go through the picture in detail and explain our new business model. Why are we changing our business model? In order for our customers to easily understand what is included in our packages and who is getting a premium version of Easynote, we have decided to change our business model. One of the most common misunderstandings is that if someone buys a package that everyone else in the team will also get the upgrade. Therefore we have decided to make this process easier. In the future every user on Easynote will be having their own team. You will be able to manage your team and invite team members to your team. The limit on the free account will be to have up to 5 project members including the owner. If you would like to have more than 5 team members on your team, then you are required to upgrade your account to eighter business or extended. In this view you will be able to see your role in this team and who are the members of each team. There will be 3 types of roles in each team and we will try to explain them. This person is the owner of a team and is managing the total account and it’s also responsible for the upgrades of the account. How do I select the team I want to work on? 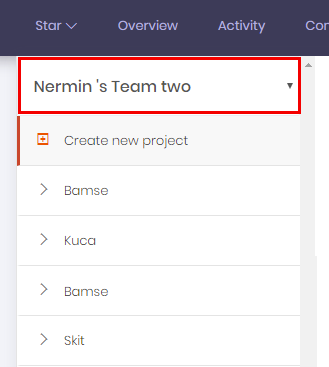 When you are selecting a project in the menu you are able to switch a project. Once you have changed the team you would like to work in you will be able to see all related projects to that team that you have access to is owner to. What are the limits (free account)? 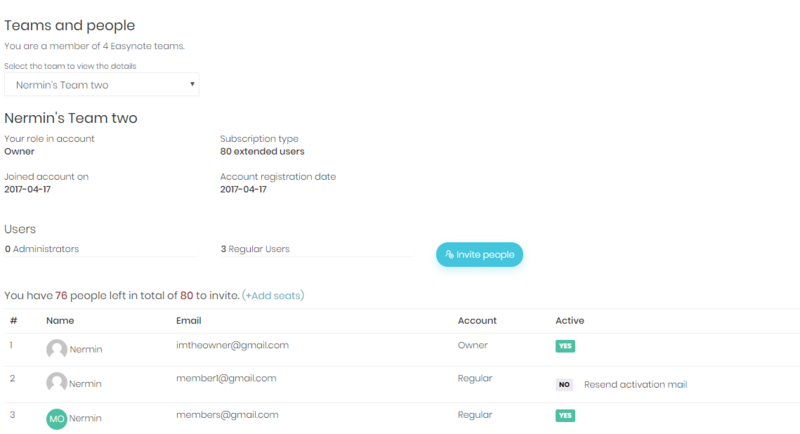 The free account will be able to have up to 5 members (including the owner) on a team. upgrade our account, how do we do this? Once you have logged in to the Easynote, go to the Easynote store (https://easynote.io/store.html) and then you will see this new view. eighter business or extended version of Easynote. How do move a project to another team? select the project you would like to move. 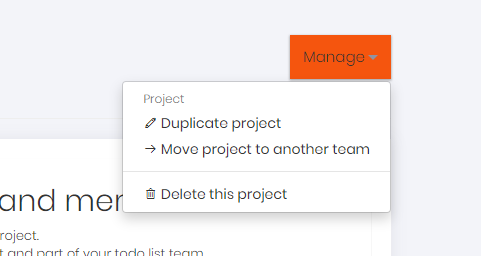 Click on the manage button and select Move project to another team. No, Easynote will still offer a fantastic project management tool for a fantastic price. The costs will still remain same which means $5/Month per user for the Business package and $10/month per user for the Extended package. I’m today on monthly subscription, what will happen? We will upgrade your account with a license you have today to 5 users for free of charge until your next billing cycle. After that you will be charged with a license of minimum 5 users. If you would not like to continue with our new business model please cancel your subscription today. We are more than 5 users today on the free account? What will happen? 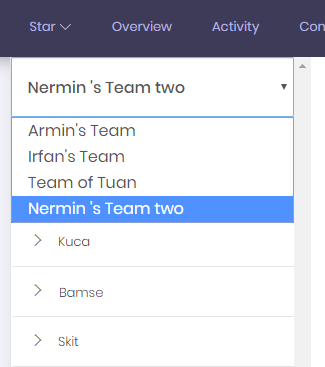 If you are more than 5 users on projects today, you will get an option to select what members you would like to have on your team. The limit of users is 5 included with the owner. If you would like to be more members on your team and projects you will need to upgrade your account to business and extended. I’m just a single user on free account, do I need to take care of anything? No, you can continue to use Easynote the way you have until now. The change is if you have more than 5 user on your team and you would like to user business and extended versions. We are only paying for one license but the rest of the project members are free, what will happen? Your account will be upgraded to the version of Easynote you have today (business or extended) for free of charge until next billing cycle and then you will be charged for minimum licenses. If I purchase number of licenses will my team also have premium features? Yes, if you for example purchase a license of 5 (Business) all your team members in your team will have also (Business) features of Easynote.